Reach Bangalore, pick up from Airport and transfer to hotel. On arrive check in at the hotel. Afternoon local sightseeing of Bangalore visiting the Cubon Park, Lalbaug, Bull Temple, Vidhan Soudha & High Court. Overnight at the hotel. Morning after breakfast depart for Mysore by surface approx. 135 kms / 3hrs. On arrival check into the hotel. Later in the afternoon visit the local sights in Mysore visiting the Mysore Palace, Chamundi Hill & the church. Evening visit the Brindavan garden to withness the musical fountain show. Overnight at the hotel. Morning after breakfast depart for half-day excursion to Srirangapatanam and visit Palace of Tipu sultan. Later in the afternoon depart for Ooty by surface approx.158 kms / 4 hrs. Arrive Ooty check-in at the hotel. Evening can enjoy boat ride (on own ). Overnight at the hotel. Early morning you depart for Madurai by surface Approx. 326 kms/ 8hrs. arrive in Madurai check in at hotel. Afternoon relax at the hotel. 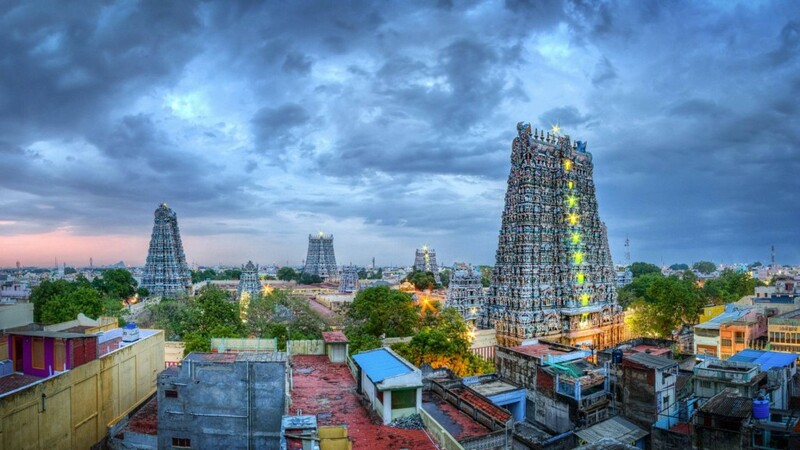 Evening proceed for half Day sightseeing of famous Meenakshi Temple. You can Also Participate in an evening Aarti. Overnight at the hotel. Early morning Darshan in the famous rameshwaram temple. Morning depart for Kanniyakumari by surface approx. 382 kms / 7hrs. Arrive in Kanniyakumari Check in at your hotel. Evening at your Evening at your Leisure, Overnight at the hotel. Morning Darshan in temple and depart for Trivandrum surface approx. 90 kms/ 2 hrs. On arrival transfer to Airport. Flight for onward journey.